Ladakh with its capital of Leh is beautifully crafted land of nature amidst the barren mountains bordered by snow capped mountains. 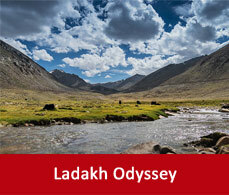 Ladakh was an unexplored land of beauty. Later on its gateway was opened for the tourists to explore this place and from then onwards the tourism in Ladakh is booming. 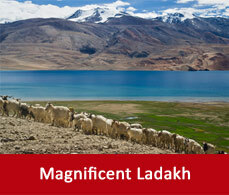 This unspoiled beauty withhelds within itself many attractions in Ladakh. Basgo is on the west of Leh. This is an ancient citadel compound. Its Chamba Gompa is the main attraction of the Indus valley now. This place has been restored with ancient colours and techniques. The remains of the citadel are scattered along the base of the hills. 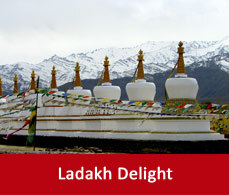 Leh is the capital of Ladakh and also the heartland of culture.It has many historical buidings and monasteries there. It can be reached from Srinagar and Manali as well. You will find many cheap hotels and restaurants there. 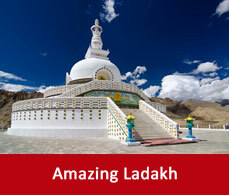 Various communication options are also available from Leh for sightseeing of Ladakh. 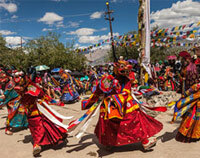 It is the second largest town in Ladakh devouring its old charm. It is a town in a valley surrounded by mountains on all sides. 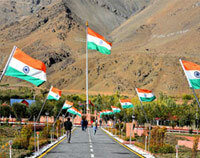 There are many places to see in and around Kargil as well. This lake was unknown to the tourists beforehand. Later on it got popularised as it was shown in the film 3 Idiots. Bulk of tourists flock down here to catch the beauty of the lake. It is a 6 hrs drive from Leh. This is the most beautiful monastery in Ladakh. A village has grown there centering the monastery. This village is a hub of many cultural and religious events. This lake is worth to visit in Ladakh. 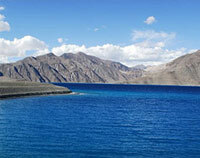 This virgin and exotic lake is another example of a water body located at a high altitude but on a lesser height than Pangong lake. It is a breeding ground for many migratory birds. 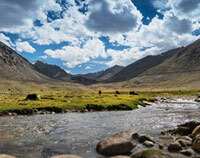 This greenest valley in Ladakh will surprise you as you hop down there to explore the valley. A small village name Hunder cradles in the middle of the valley which is famous for its sand dunes. The drying up of the river bed due to some natural calamities have given rise to these sand dunes. There you can also have a glimpse of two humped camels. 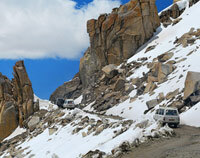 Khardungla Pass is located at a high altitude of 5,360 metres. It is the most highest motorable roads. This pass has been drained with mud and ice melted water. As you drive through this pass you get a chance to see the Zanskar range as well. But some adventurous people like to walk past the pass to enjoy its beauty. 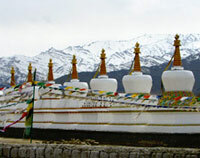 As you step in Ladakh you will be able to see many gompas and stupas. Sometimes you may see stupas in some unexpected places as well. 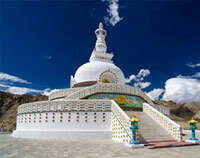 These gompas and stupas are the symbol of their traditionality and culture. These holy stupas makes this barren land more mysterious. It is a sub-district of Kargil. 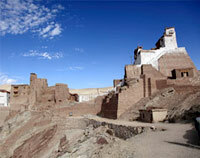 It is one of the remote place of Ladakh. This remoteness have preserved the beauty of Zanskar and so it is still now an unadulterated view to experience. During winter you will have to travel there by a frozen river. The people here are very colourful, cultural and charming.